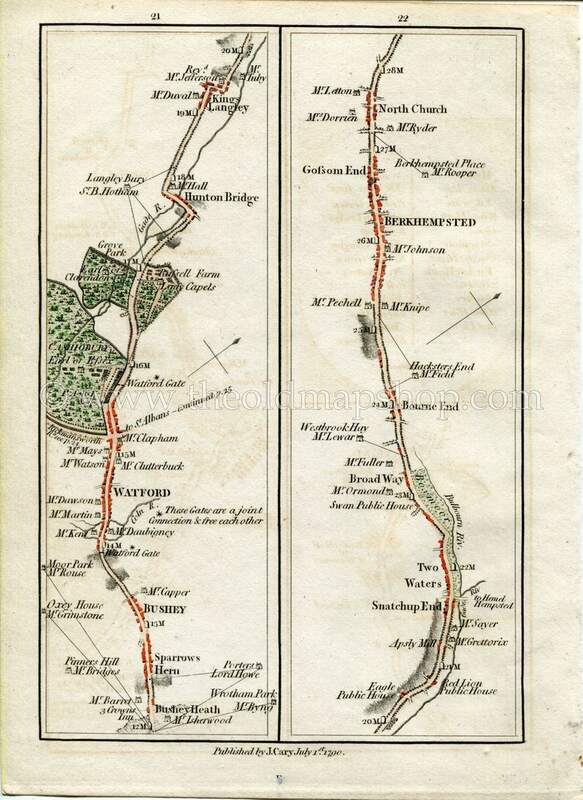 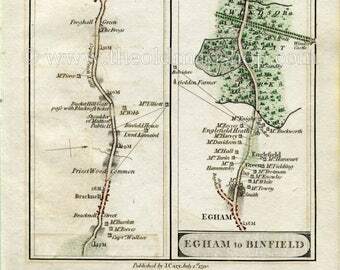 1790 John Cary Antique Road Map showing, Bushey Heath, Watford, Hunton Bridge, Kings Langley, Bourne End, Berkhamsted, Northchurch - From ''Cary's Survey of the High Roads from London'' First published in 1790. 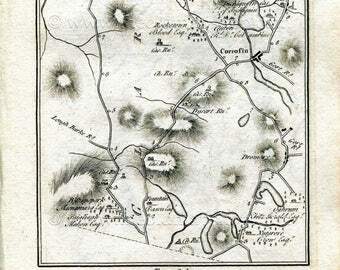 This map being from that first edition and actually printed in 1790. 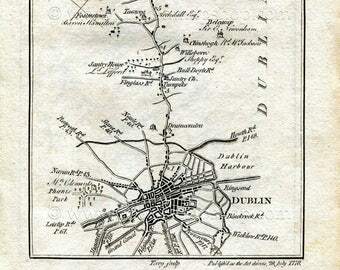 The reverse side of the page is blank.